We've posted several times about the 'Origins of Renal Physiology' held in the Mount Desert Island Biological Laboratory every year. Fellows who have taken the course over the past 5 years have consistently raved about it, with many describing it as transformative in their careers as researchers, teachers and clinicians. It's on again this year September 2-9, 2012. This year for the first time, 'Origins' will be free for all renal fellows who are admitted to participate. The organizers are able to do this thanks to a five year R25 research education grant from the NIDDK/NIH. Lodging and meals are included, so the only costs to you are travel. Applications are now being accepted; the application will close on April 15.Head over to the course website: www.mdibl.org/courses/The_Origins_of_Renal_Physiology/114/, for a description of the course and the online application form. As a medical student I was taught the CKD hypertension gospel straight from the good book of JNC VII: Thou shalt lower the blood pressure to less than 130/80! This was many years after David Bowe and Freddie Mercury but I got the song stuck in my head when I started thinking about the post so I had to put it up there. Right there in red, blue and black. And supported by two references no less! One of them is the American Diabetic Association going on about diabetes (another story) but reference 21 is KDOQI on CKD... So the rabbit hole gets deeper. They say "controlled trials in essential hypertension conclusively show a beneficial effect of lowering blood pressure to <140/90 mm Hg. Controlled trials in high-risk individuals with diabetes or heart failure suggest beneficial effects of reduction of blood pressure to even lower values. Based on these studies, and on observational studies, a number of guidelines for patients with either diabetes mellitus or congestive heart failure recommend a goal blood pressure of <130/80 mm Hg. There are few studies regarding blood pressure goals for CVD risk reduction in patients with CKD. Thus, the Work Group elected to extrapolate the recommendations for high-risk patients to patients with CKD." Uhh so, we have no evidence so we took some evidence from other diseases and said do the same thing. It not quite that bad. There is some evidence for less than 130/80 but it has caveats. The MDRD study randomized patients to aggressive vs standard blood pressure control with achieved average values of 126/77 and 133/80 respectively. At the end of the study there was no overall difference between the two groups in terms of kidney function but in post-hoc analysis the aggressive BP arm had statistically slower rates of renal function decline in patients with over 1g per day of proteinuria mainly driven by patients with over 3g of proteinuria per day. Unfortunately, the aggressive control group were more likely to have received ACE inhibitors than the standard control group so the post-hoc data is a bit muddled. 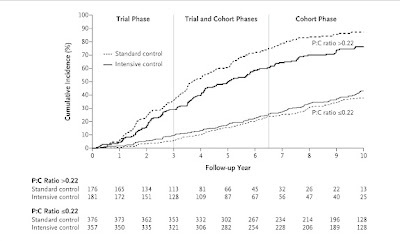 In the recently published long term followup of the AASK trial, African Americans with hypertensive kidney disease who were initially randomized to either intensive or standard BP control were subsequently followed in a cohort phase in which the BP target was the same in both groups. Followup extended out to 12 years from the initial randomization. The achieved BPs during the trial were 130/78 mm Hg vs 141/86 mm in the intensive and standard groups respectively. In the cohort phase BPs were much closer as expected (131/78 and 134/78 in the intensive and standard groups respectively). The story is similar to MDRD, among all patients there was no difference in the primary composite outcome of ESRD, doubling of serum creatinine or death throughout the trial and cohort phase. However, in the subgroup with baseline proteinuria of greater than 220 mg per day a significant difference between BP target groups appeared favoring more intensive control. So no clean randomized prospective data to support the JNC VII target of less than 130/80 in CKD patients. There is a hint from the above subgroup analyses that CKD patients with proteinuria might benefit from having blood pressures controlled to below 130/80. The proteinuria cutpoint at which this might occur is unclear. It will be interesting to see how JNC VIII, expected sometime later this year, handles the above. Additional information will hopefully come from the randomized prospective SPRINT trial which is looking at systolic BP goals of 140 vs 120 in a large cohort with a reasonable proportion of CKD patients. Recently in the clinic we were asked to review a patient with suspected diabetes inspidus. She had been taking lithium for more than 20 years for bipolar disorder that was very well controlled. During a routine medical examination, her blood tests revealed a serum creatinine of 1.4 so she proceeded to have a 24-hour urine collection. The result of this showed that her GFR was moderately reduced at 40mls/min but the striking finding was a 24 hour urine volume of 10 liters. The patient herself had no complaints regarding this as she was accustomed to drinking large volumes. She had been advised many years before to take a high salt diet in order to reduce the potential for nephrotoxicity (this sodium would compete for Li uptake in the DCT). Reducing her salt intake cut her urine volume by half which in itself was a great result. One thing that did not fit entirely with the story was that her serum Na was never >140mEq/L. The impetus for water intake in DI is a high serum Osm but she was often in the 137-138 range suggesting that she was actually keeping her Osm lower than would be expected. The question arose as to whether or not there was a component of polydipsia here unrelated to the possible DI so we admitted her for a water deprivation test. At that point DDAVP is administered. We administered DDAVP when her serum Na was 149 and allowed her to drink again as soon as the next lab was taken. Her final result was after she had been allowed to start drinking again and she was already preventing her Na from increasing any further. The lack of response to DDAVP indicates a diagnosis of nephrogenic DI, almost certainly due to lithium. The take home points for me here were that a low serum sodium in the steady state does not necessarily mean that the patient does not have DI – in someone like this who has had this problem for years, she has just become accustomed to staying ahead of her thirst. The second point was that a serum sodium always has to be sent with the serum osmolarity as if there are other osmoles around, they can give you a misleading result. 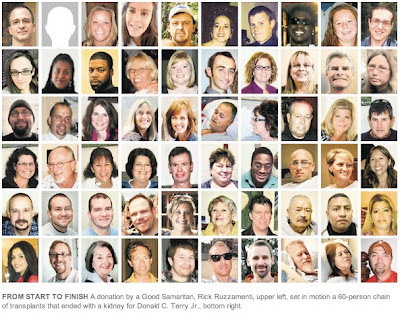 Interesting article on chain donation in the NYT. We recently discussed an excellent paper on the classification of metabolic alkalosis. The three suggested subtypes were primary and secondary stimulation of collecting duct ion transport and exogenous alkali administration. Another interesting editorial was just published in JASN that further expands on the idea that chloride deficiency is central to the maintenance of a metabolic alkalosis. The traditional view of a contraction alkalosis was that in a volume depleted patient, there would be increased reabsorption of sodium in the proximal tubule. Because this sodium must be reabsorbed with an anion, bicarbonate was also reabsorbed in the proximal tubule along with this in preference to chloride, thus perpetuating the alkalosis. The first challenge to this viewpoint came in the 1960s when it was shown that a chloride deficient alkalosis generated by diuretics or gastric aspiration was corrected by treatment with NaCl or KCl but not with Na or K repletion without Cl. This did not however deal with the issue of volume depletion. 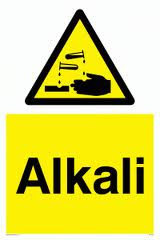 More recently, the authors of the editorial have shown that a chloride deficient alkalosis could be corrected in rats by infusion of a chloride containing solution despite ongoing volume depletion, while restoration of the ECF volume with albumin did not correct the acid-base abnormality. In fact, the urinary excretion of bicarbonate increased in the rats that received chloride while it fell further in those that received volume expansion with albumin alone. Finally, they treated normal human subjects with a low chloride diet along with furosemide and Na and K supplementation. These subjects developed an alkalosis that was maintained for 5 days and corrected with oral KCl alone without any expansion of plasma volume. This elegantly demonstrated that volume is not the issue in these cases and that it truly is an effect of chloride depletion alone. So what is the mechanism for the maintenance of the alkalosis? Previous posts have discussed the role of Pendrin, the HCO3-Cl exchanger in the collecting duct. The main stimuli for pendrin activation are decreased distal delivery of chloride and intracellular alkalosis. However, where there is little or no distal Cl delivery, it is not available to exchange with HCO3 and thus the alkalosis is maintained. This also helps explain the alkalosis induced by hypokalemia. Hypokalemia induces intracellular acidosis which inhibits HCO3 excretion by pendrin thus exacerbating the extracellular alkalosis. Can we now finally get rid of the concept of a contraction alkalosis? Extend Medicare Coverage for Kidney Transplant Patients! Currently many kidney transplant recipients lose their Medicare coverage 36 months after receiving a transplant. In some cases these individuals are then unable to afford the cost of anti-rejection medications and subsequently lose their kidney. When this happens these individuals return to the more costly option of dialysis which is covered by taxpayers. Let's end the madness. The current policy makes no sense for patients and makes no sense for taxpayers. Take the time to sign the petition started by Ajay Singh over at The Kidney Doctor in support of the Immunosuppressive Drug Coverage for Kidney Transplant Patients Act introduced into the Senate back in September. I saw a patient in the clinic who was referred for evaluation by his PCP with CKD, a bland urine sediment and a history of hyperuricemia and gout. He had no history of diabetes or hypertension and had no obvious (to me) reason for his CKD at first glance. He was a non-smoker and had no family history of renal disease. He worked as a plumber and his examination was entirely normal. 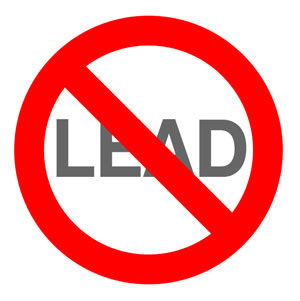 My attending came in and asked him if he was still using as much lead these days as he had in the past – apparently he was down to 4 times monthly. He was using it to fix joints and was regularly exposed to lead vapor. Even at this, his exposure was significantly less than it had been when he was younger before work practices changed. Lead toxicity is an under-recognized cause of chronic kidney disease. Commoner in the past when lead was ubiquitous and likely less important now as an environmental cause of renal disease, it should be suspected in people who still work with lead regularly (or had a significant past exposure). Plumbers, fishermen (who make their own weights) and hunters (who make their own shot) continue to be at risk. 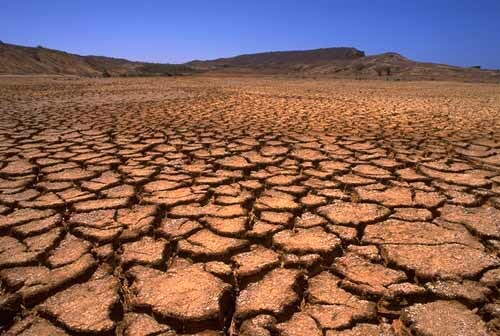 The renal signs of lead toxicity depend on the duration and degree of exposure. Acute lead toxicity leads to proximal tubular inclusions and an acute fanconi syndrome. Chronic lead toxicity causes a chronic interstitial nephritis with a relatively bland urine sediment. Patients typically have gout and this condition has sometimes been confused with uric acid nephropathy. Even low levels of lead exposure appear to be associated with a decline in GFR. A study in 1992 in the NEJM found that a 10-fold increase in blood lead concentration was associated with a 10-13mls/min decline in GFR in a population of asymptomatic patients. There is a chicken and egg issue here however, as a lower GFR can lead to decreased lead excretion. The diagnosis is made by first determining if the patient has been exposed to significant amounts of lead and then measuring lead levels in the blood. In patients with a historic exposure, this may not be reliable because of sequestration in the bone and x-ray fluorescence is more reliable. The treatment involves removing the sources of exposure and, in patients with substantial lead toxicity, chelation therapy. This is not entirely without risk and has been associated with acute renal failure in children. Chelation in the presence of ongoing exposure will actually increase toxicity as it will lead to an overall increase in blood levels. We are in the process of getting the XFR scan for this patient and it may be that he does not have lead toxicity after all; but it is definitely one to think about in the future.